In a statement, the carmaker said that it did not believe that any private employee or customer data had been accessed during the incident. 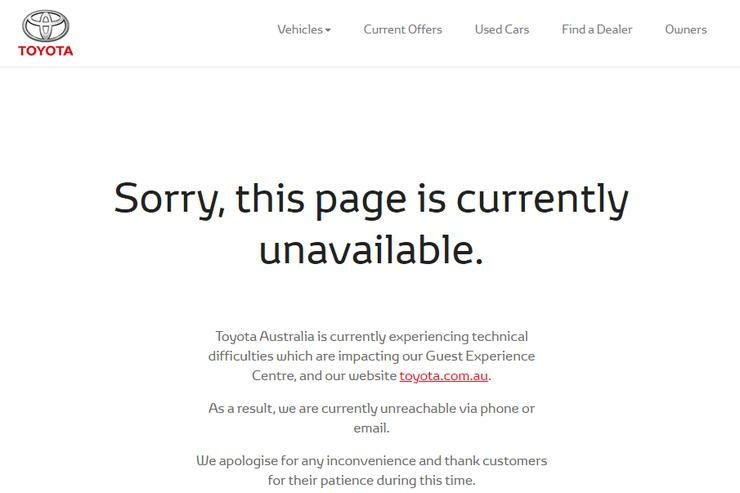 As a result, Toyota is “currently unreachable via phone or email,” it adds. The company apologised for any inconvenience. Late yesterday Fairfax Media revealed that Melbourne Heart Group at Cabrini Hospital in Malvern had suffered a ransomware outbreak that left the cardiology unit “unable to access some patient files for more than three weeks”. Earlier in February the government revealed that Australian Parliament House had been subject to an attack by what Prime Minister Scott Morrison dubbed a “sophisticated state actor”. The security breach led the Department of Parliamentary Services to reset the passwords of MPs and their staff. ASX-listed property valuer LandMark White yesterday entered a trading halt while it seeks to work out the financial fallout from a sizeable data breach involving client details.